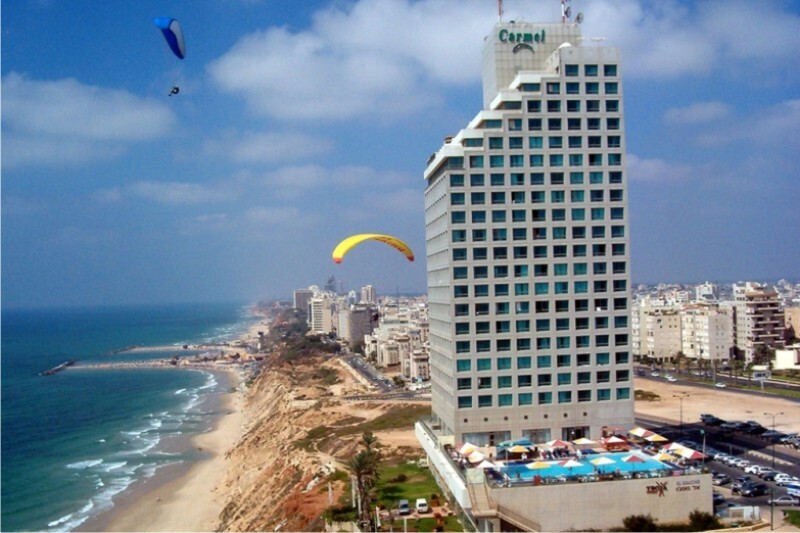 In the previous article we talked about seafront of Netanya, about the history of it, and about the northern part of seafront. 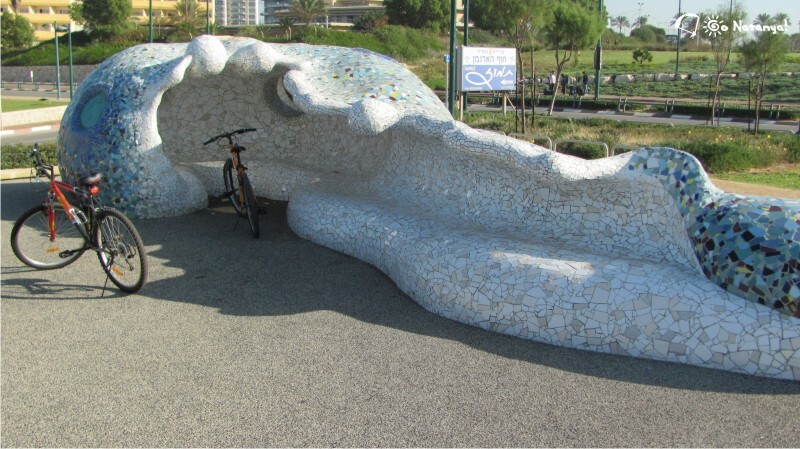 In this article, we will try to discribe the southern part, its sights and interesting places. 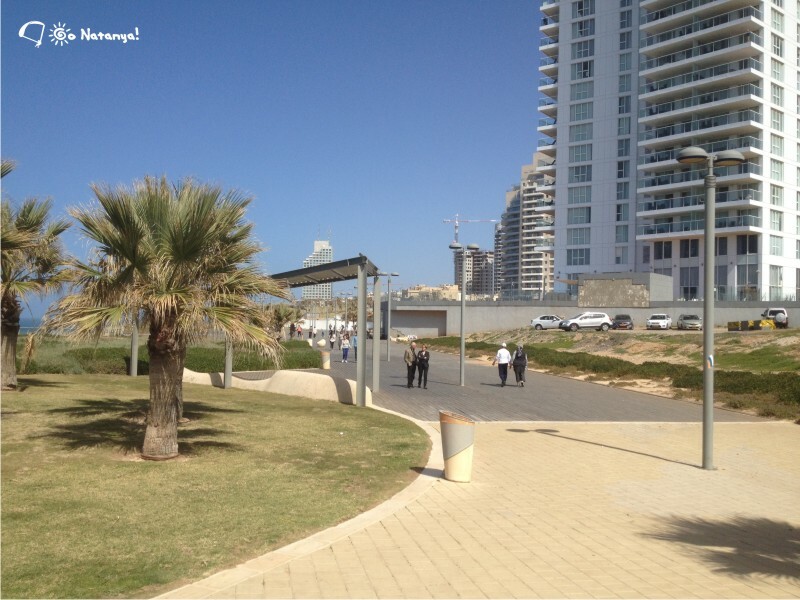 Southern part of seafront in Netanya is situated to the left from Herzel (Hertsel) street, if you look at the sea. This is a “new” part of seafront. As we wrote in a previous article, 15 years ago here was a cities junk-yard, but now, it’s absolutely astonishing place. Here we have many lawns, sculptures and sidewalks, where every morning many people run along the sea. Near hotel Karmel Natanya you can see a big square with a wooden platform, where many people walk, or rolleskate. We don’t know why people like to skate there. We think that, a wooden cover is not so comfortable because of splices, but they do it! There are many children play here . If you go further, you will see another interesting place. There is a special area, not far from Hotel Ramada, where start the fly paragliders. They are the modern sybol of Netanya. They look amazing and colourful, have parachutes of all kind of color, – red, white, orange, blue! They fly in the sky, over the buildings, over the sea… If you want, you can try to fly like them. For this, you should just buy a ticket. 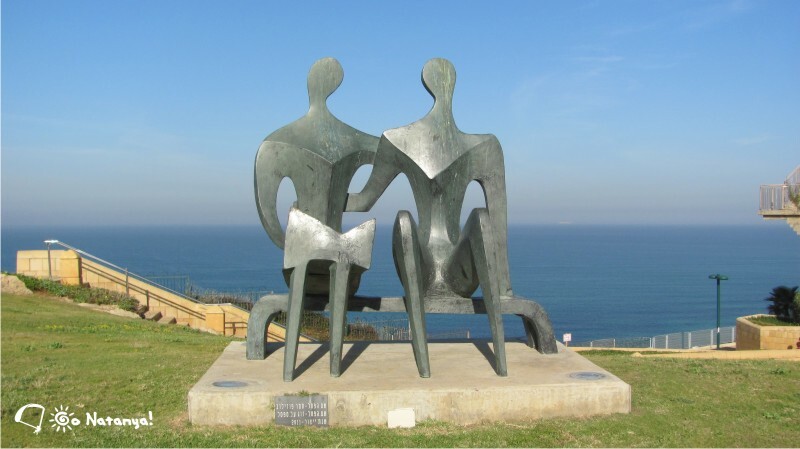 Not far from this place, there is very sentimental sculpture of two old people, who sit on the bench, and look at a city. 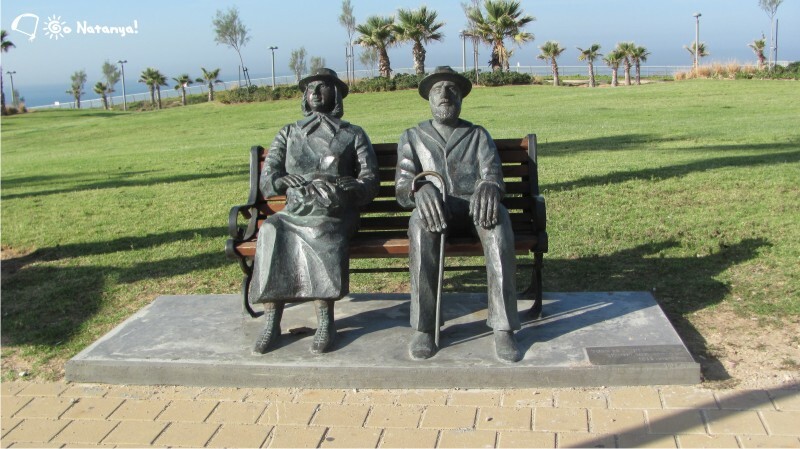 This sculpture symbolize the old generation, first settlers, who hoped, that one day, Netanya will be a big, clean, and beautiful city. So, now we have it! If you go straight ahead to the south, you will see two attractions in one place. First of them, – a sculpture, that native people call “Whale”. Why are they call it “Whale”, we don’t know. It looks like a big tadpole, or like a worm (“tadpole” we like more). 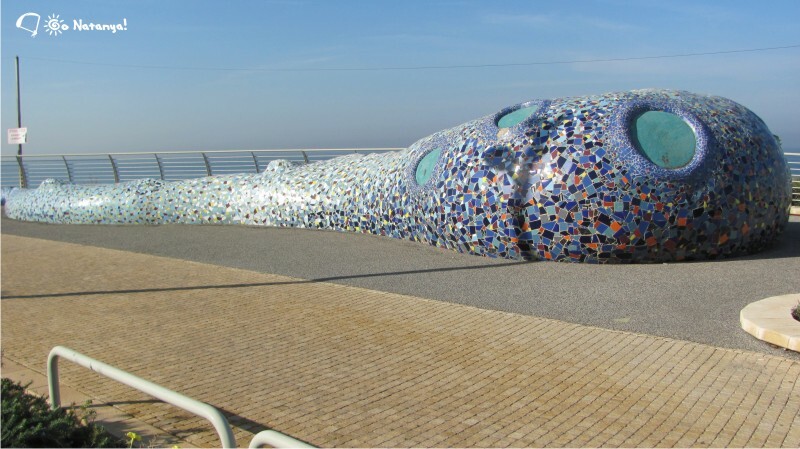 This is very colourful sculpture with a surprise, – from the sea side, it’s a bench, that makes a shadow for people, who want to rest there. “Tadpole” is the first sculpture of this type, that you will see, if you come from the “North”. After it, there are several sculptures in such style. These are the works of Russian/Israel sculptor Ruslan Sergeev. 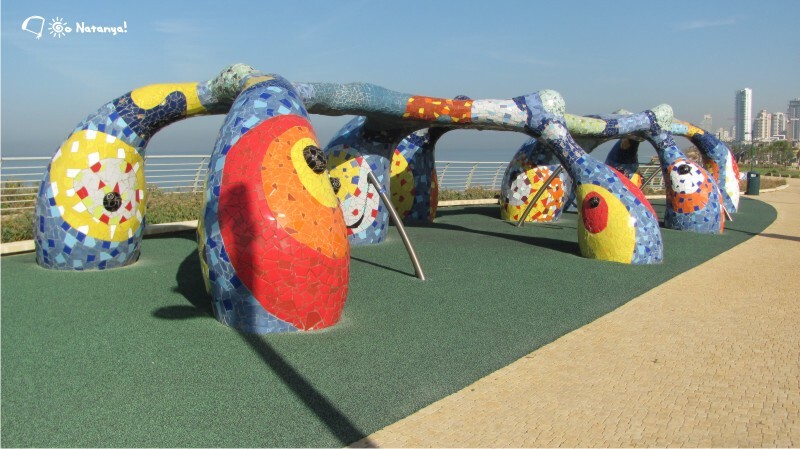 He makes colourful sculptures with ceramics parts, and they are very popular in Israel. 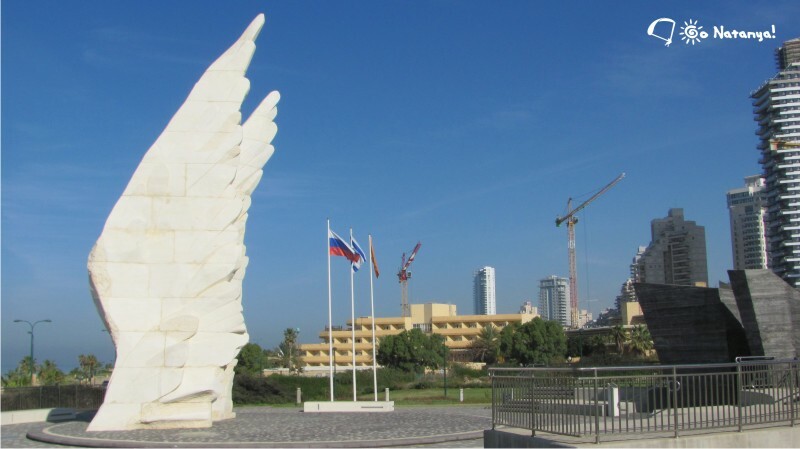 On another side of the road, you can see another one attraction of Netanya the monument “Wings”. This is a very big monument, that looks like Angel’s wings. They stick out from the ground, and directed to the West (to the sea). This monument symbolizes the Victory in the II World War, and the price, that jews paid in this horrible catastrophe. But there is the particular article about this monument on our site. If you go further, you will see, that the seafront soon ends. The south part of it is about 3 miles, and our mayor plans to make it much longer and interesting! Our seafront is very beautiful, and if you want to walk there, please, remember about one important thing. Don’t forget to take with you a bottle of water. We have an excellent sun, but even sun can be too much. See you soon!